For the last thirteen or so years, we have had an artificial tree for Christmas. This, believe me, was not my idea. 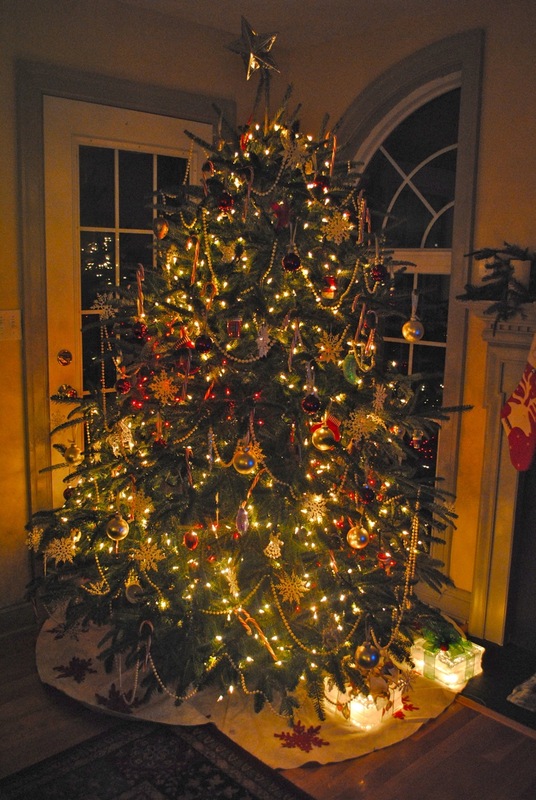 I grew up with real trees every year, and I adore the smell and look that only a real tree can give you (despite the 8 billion Christmas Tree – scented Yankee Candles I’ve used through the years). Paul has always been pro – artificial. It’s cheaper in the long – run, they’re supposedly safer, and they are easier to set up and take down. I countered these points by saying that fake trees are less environmentally friendly – they will rot in a landfill forever, whereas a real tree will biodegrade, and tree farms re – plant new trees constantly. 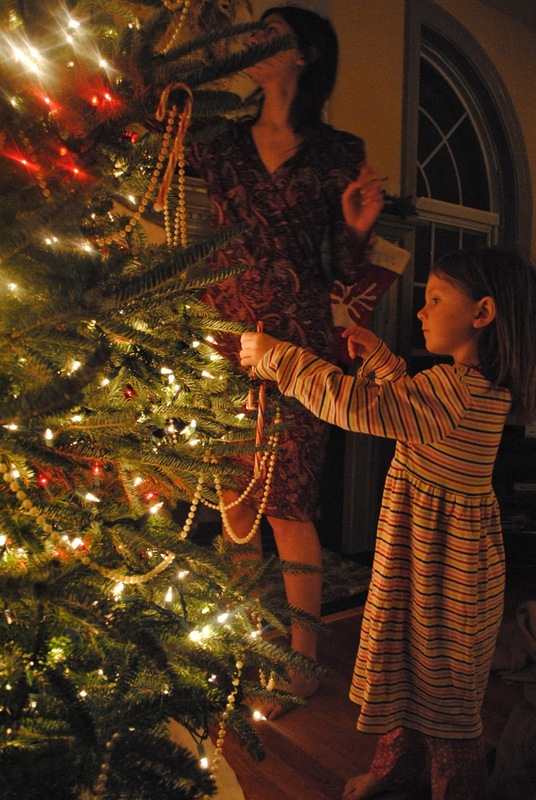 At any rate, the artificial tree argument won out for the entire time we’ve had children. Until, inexplicably, this year. I still don’t know what caused Paul to finally relent and agree to allow me a real tree this year, but whatever it was, I’m glad I did it. Family tradition calls for the tree to be put up and decorated on Black Friday every year. It was obvious my kids had never decorated a real tree before; they kept hanging the ornaments on the very ends of the branches, weighing the tree down pretty badly. But, I managed to fix that small problem, and despite a bit of a “lean” the tree looks quite nice, if I d say so myself. It’s been a lovely way to ring in the Christmas season and welcome winter. We went with red and white lights to match the tree skirt I made a few years ago. I’ve never been one to use multi – colored lights, but I am really liking the red and white together. This entry was posted in Kids and tagged Seasons. Bookmark the permalink. Beautiful pictures and beautiful tree, Amy! Very lovely tree. 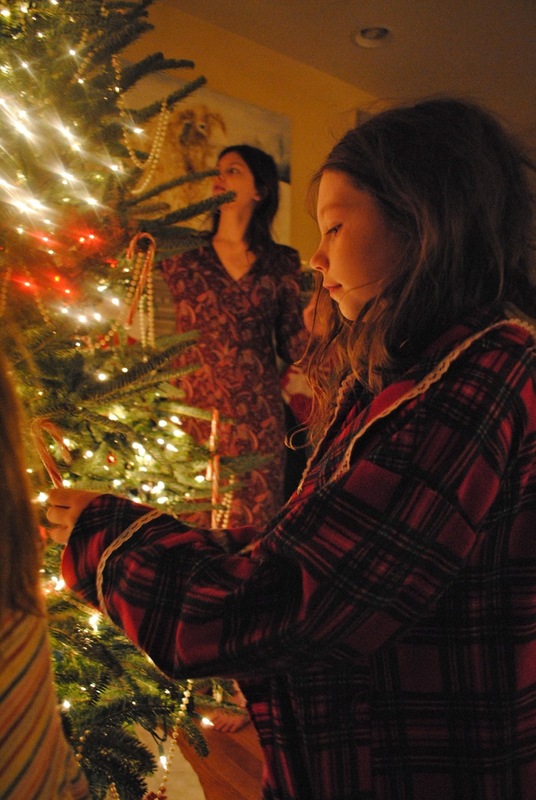 Paul gave a gift in agreeing to the scent of a real tree – for you and your children. Thanks for the love and warmth that poured thru this post. Lovely pictures! I can’t wait to do ours. We will be doing it tonight.